Size: 4,832 sq. 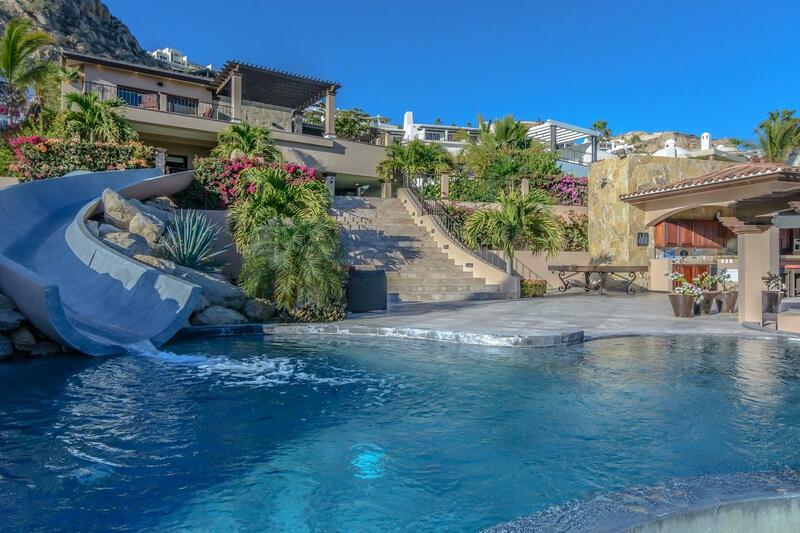 ft. "AC SqFt 3,109 Decks/Patios SqFt 1,721"
Located on a prime location where one can capture the views of the Sea of Cortez and the Pacific Ocean. Where else can you see the sunrise with your morning coffee and the sunset while sipping a glass of wine. This Mexican style home has 3 bedrooms, 3 full baths plus a studio apartment, which can be rented separately. Open kitchen, dining and living room make it a perfect spot for entertaining while savoring the views. Also a 2 car garage and 3 additional parking spaces.